Hello and welcome to WannaWanga.com, a shop for parts for your own replica lightsaber. My name is Roy and I am a product designer and developer. For some time now I have been intrigued by the original lightsaber props that were built in the seventies for the original Star Wars trilogy (OT), particularly Obi-wans antique saber and Luke’s Graflex based sabers from A New Hope and Empire Strikes Back. I started to read and learn about them, especially at the RPF. After studying many pictures, forum threads and parts descriptions I managed to create very accurate 3D CAD models of various complete saber hilts using reverse engineering techniques or by simply measuring some of the authentic parts that I had bought on eBay or from other collectors. I noticed that not all replica parts are accurate enough to satisfy a critical saber prop builder and I thought I might be able to contribute something here. 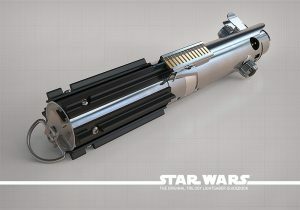 The CAD models of the components were the starting point for the fabrication of accurate replica parts that I offer for sale on this website for other enthusiasts who want to build a nice lightsaber replica prop. 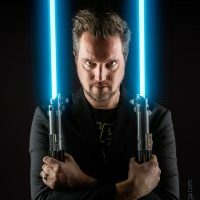 I don’t claim to be an expert in the field of lightsabers; I have noticed that quite a few people have studied them for many more years and know a lot more than I do. But I learned a lot in a short time and I have focused on my expertise of developing and engineering parts for serial or mass production based on my own highly accurate 3D CAD models. Each component has its own story and on this website I share some information to explain some of the technical details. If you want to learn all the ins and outs of the original OT saber props I strongly recommend reading this detailed and compact document which was put together by RPF member SethS who has taken the time and effort to compile all the currently known information to create the ultimate saber-bible. This document is a work in progress and will be updated every now and then when new information about the original props come to light. 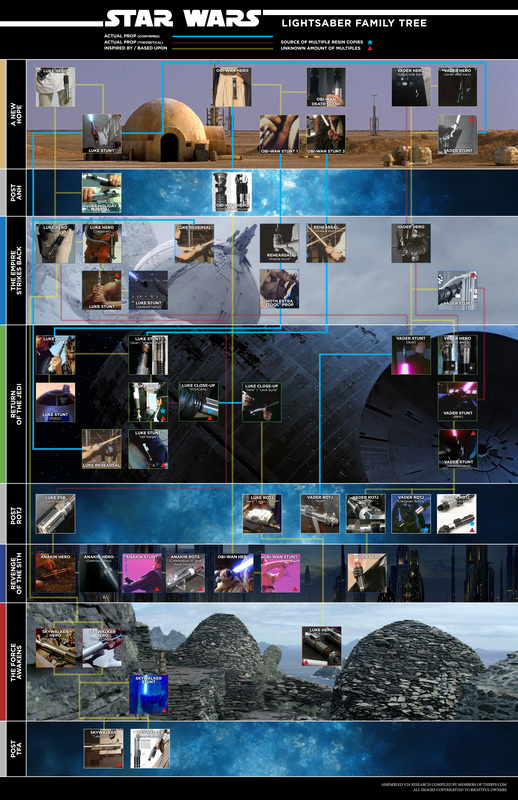 SethS also create the Lightsaber Family Tree poster, which you can find on my goodies page here. All images used on this website are made by myself, except for the image on this page with Bib, Artoo and Threepio, which is made by Ralph McQuarrie. I like to thank RPF-members Sym-Cha and ParfaiteLumiere for all their help and support. For more background information, please check out this RPF thread.